Ravel's setting of contemporary French writer Paul Morand's Don Quichotte-inspired poetry came at the very end of his creative life, and only upon a commission from the Austrian filmmaker G.W. Pabst for a film he was making on Don Quichotte. Pabst was plainly not devoted to Ravel's work, however; – when Ravel was slow in producing the specified scores, Pabst readily accepted music from Jacques Ibert instead. 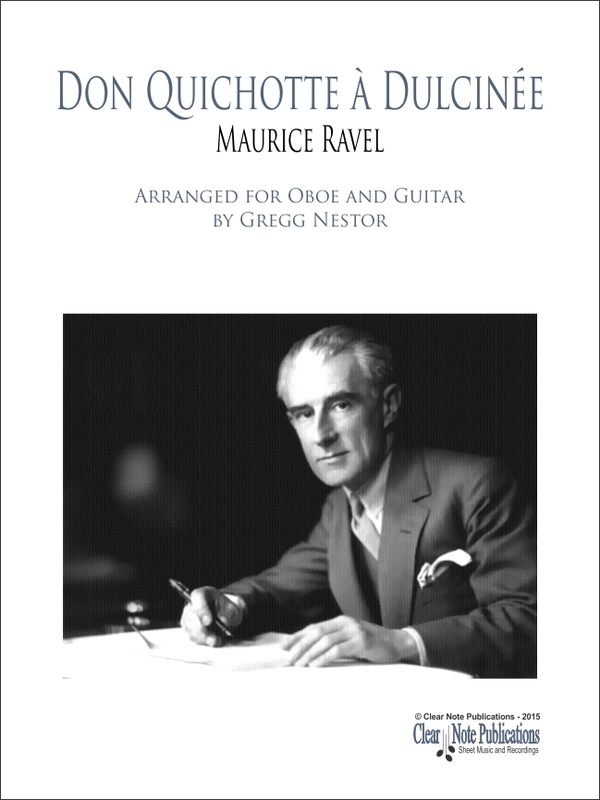 The result of this aborted collaboration, Ravel's set of three songs entitled Don Quichotte à Dulcinée ended up being his last completed work. 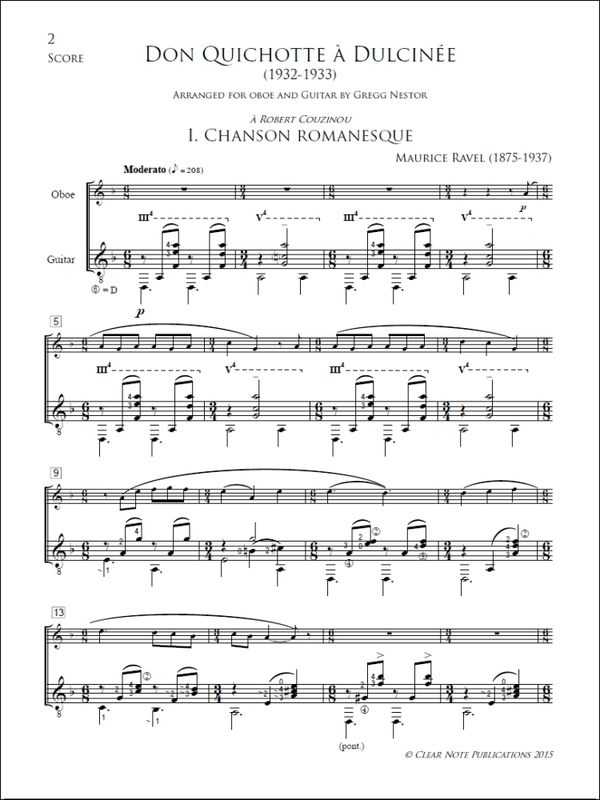 Ravel based each movement on a traditional Spanish dance: “Chanson romanesque” is a quajira, which alternates bars of 3/4 and 6/8. 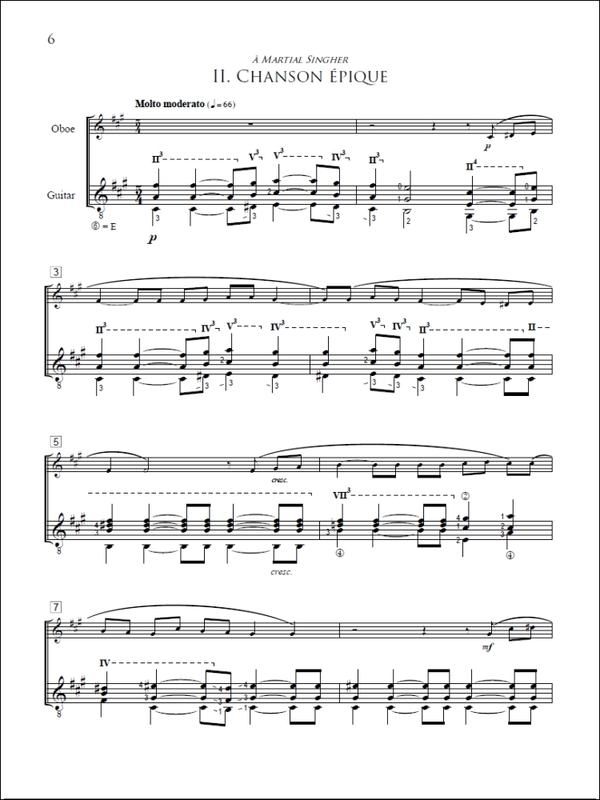 Although “Chanson épique” is hymnlike, introduced with a low spiritual chorale, it too is a dance: the 5/4 Basque zortzico. Its naturally languid rhythm is here extrapolated to a state of reverent suspension, as Don Quichotte invokes the medieval patrons Saint Michael and Saint George as witnesses to the purity of his love for Dulcinea. Don Quichotte is human after all, and he boisterously comes back down to earth in the final movement, called, inevitably “Chanson à boire”. Underlying this “Drinking Song” is the quick accented 3/4 of the jota. 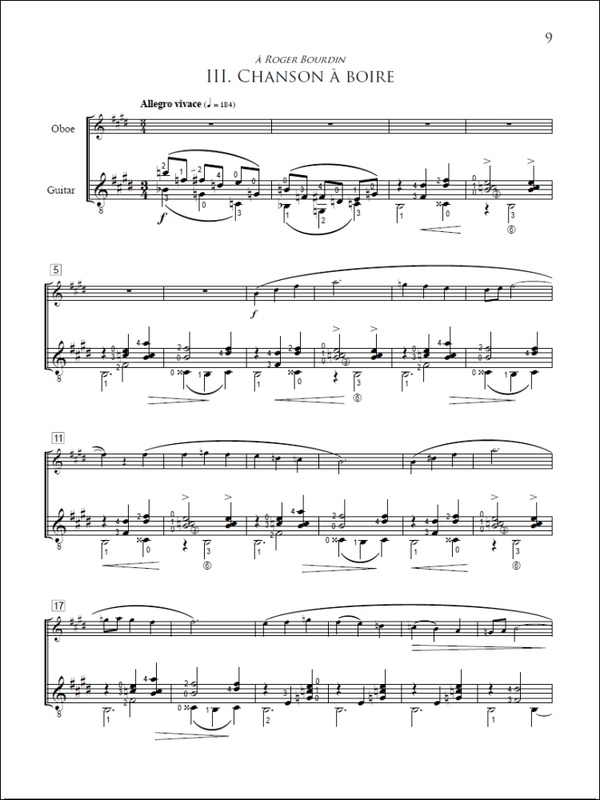 This instrumental version by Gregg Nestor for oboe and guitar perfectly captures the misguided but sincere protagonist, a brave man risking ridicule and torment in his quest for love.